Our store originated in 1980 as a professional pharmacy and evolved into our health food store. We became interested in alternative options when our son developed asthma and my husband suffered from Crohn’s disease. Over time they both experienced remarkable improvement using natural supplements, healthy nutrition and chiropractic care. Our personal journey lead us to focusing on supporting and encouraging others in their personal search for improving their health. In addition to my husband and myself we are fortunate to have a knowledgeable and caring staff. Our product selection is based on product quality and customer feedback. Please stop in and visit our store to learn about our ongoing everyday discounts. 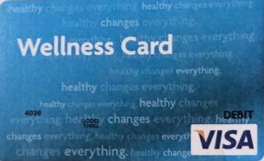 We also accept Independent Health Extra cards, Blue Cross Blue Shield Wellness cards and FlexFit Active cards. Get the most out of your card with our everyday discounts!